A bench comprising Chief Justice Ranjan Gogoi and Justice S K Kaul issued notices on the plea which has challenged the November 2 last year order of the Bombay High Court. 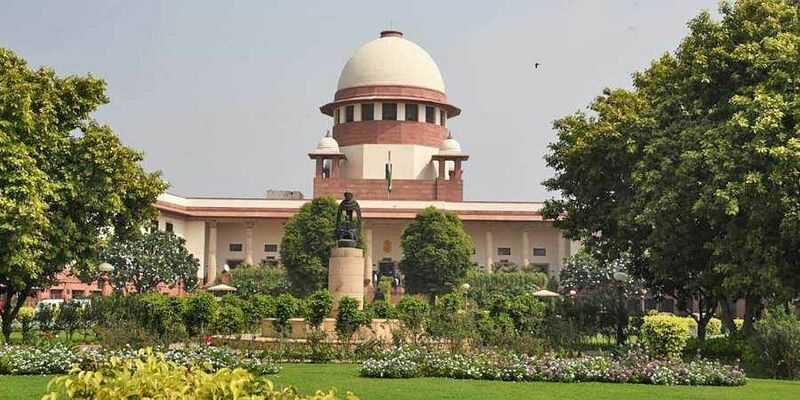 NEW DELHI: The Supreme Court has sought responses from the Centre and Maharashtra government on a plea challenging the Bombay High Court order which had refused to restrain authorities from taking steps regarding the proposed Chhatrapati Shivaji Maharaj Memorial project in the Arabian Sea. A bench comprising Chief Justice Ranjan Gogoi and Justice S K Kaul issued notices on the plea which has challenged the November 2 last year order of the high court. Advocate Nishant R Katneshwarkar, who appeared for Maharashtra, said that while issuing notice on the plea, the bench orally told him to ask the authorities not to proceed with the construction activity there. The petitioner NGO, Conservation Action Trust, had moved the high court challenging the February 23, 2015 order of the Ministry of Environment, Forest and Climate Change (MoEF&CC) granting environmental and coastal regulation zone clearance to the Rs 3,600 crore project in Mumbai. The petitioner had claimed in the high court that amendment in a clause of the Coastal Zone Notification 2011 by a February 17, 2015 notification of the MoEF&CC was "illegal" as it permitted the Centre to dispense with the requirement of a public hearing in such projects. The state government had opposed the plea in the high court and had said that clearances were taken for the project from different authorities. It had argued that final environmental and CRZ clearance of February 23, 2015 was granted by the MoEF&CC after a detailed study and after ascertaining the compliance of all requirements and after following proper procedure. The high court, while rejecting the petitioner's request for interim relief, had noted in its order that state has said that the memorial project does not involve rehabilitation and resettlement of public, and the site is located away from human habitation. "It also cannot be overlooked that the project is considered by the state government to be of national importance," the high court had noted in its order.